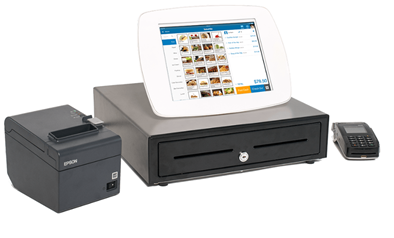 Are you battling with that old cash register or with clunky old POS system? Are you ready to lift your game and get with the times? Kounta is a Cloud based system that is easy to setup and get start trading almost immediately. The best part is that it allows you to use it on iPad, Android Macs or even your existing computer. It links seamlessly with hardware and provides such a funky look to your front of house. If you would like to try Kounta free for a month, click here. If you would like to know more, keep reading. It is ideal for various business types such as cafes, bakeries, bars, restaurants and more. For added functionality Kounta also integrates with an array of Add-Ons which allow you to customise your Point of Sale experience by turning on a number of online and mobile services that seamlessly integrate for a small fee. Kounta seamlessly integrates into MYOB AccountRight and most recently MYOB Essential as well as other accounting products like Xero and Intuit Quickbooks. This means you do not have enter data again into your accounting program. It tracks all of your GST and makes all of your reporting requirements easier at BAS lodgment time. Here’s that free trial again, click here.